Home › How to do card recovery? › How to do Mac recovery? › How to recover data from mac mobile phone? To recover deleted files from mobile phone, first you should connect your Mobile Phone with computer system. Then start recovery process. 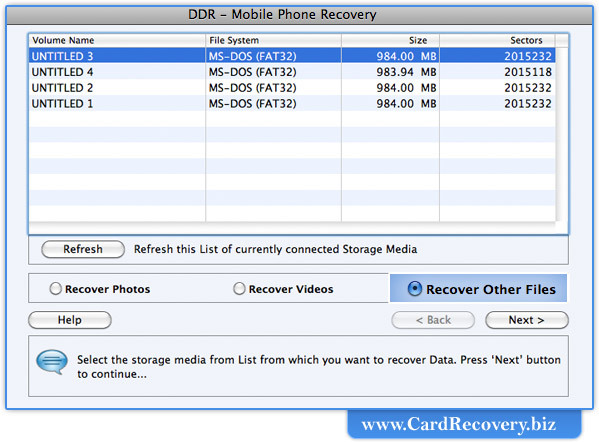 Select any one option for recovery including Recover Photos, Recover Videos or Recover Other Files. 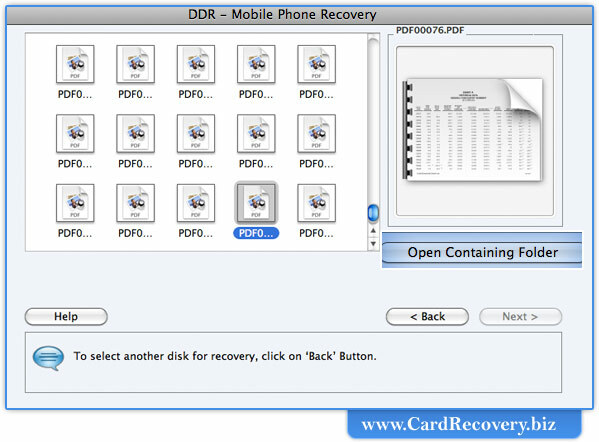 In the page, we will discuss how to recover data from mobile phone using Recover Other Files Option. Now Click on “Next” Button to Continue. Select searching criteria such as “Entire Disk” Or “Sector Range”. 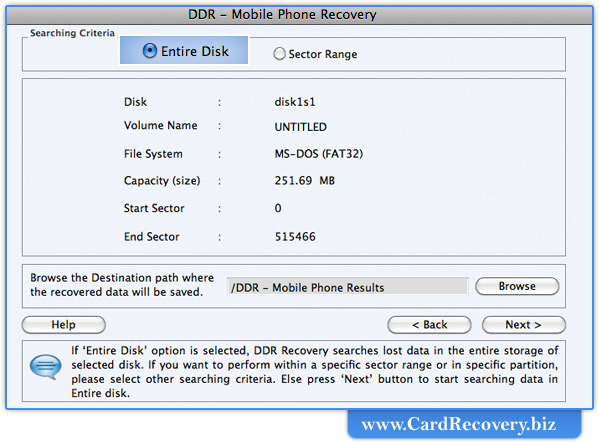 If you select “Entire Disk”, then mobile phone recovery software searches lost data in the entire storage of selected disk. 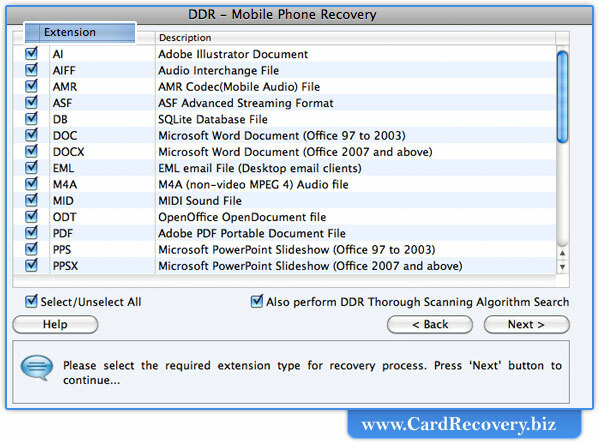 If you select “Sector Range”, then Mobile phone recovery software searches lost data within specific sector range. 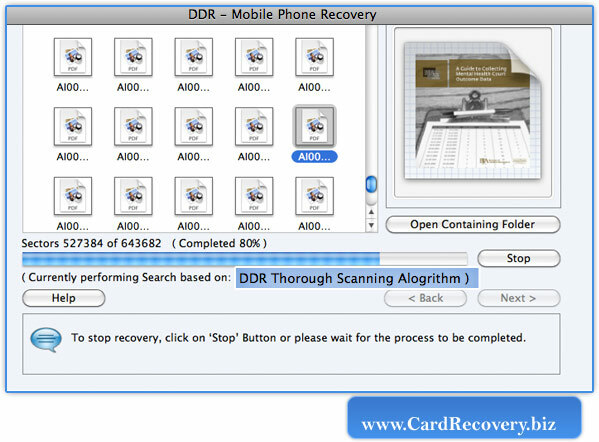 After completing DDR General Recovery Procedure, DDR Thorough scanning process starts automatically. To view the recovered Data, please click on ‘Open Containing Folder’ or else click on ‘Back ‘button to select another disk for recovery. Note: You can see the preview of selected file by double-clicking on the file. 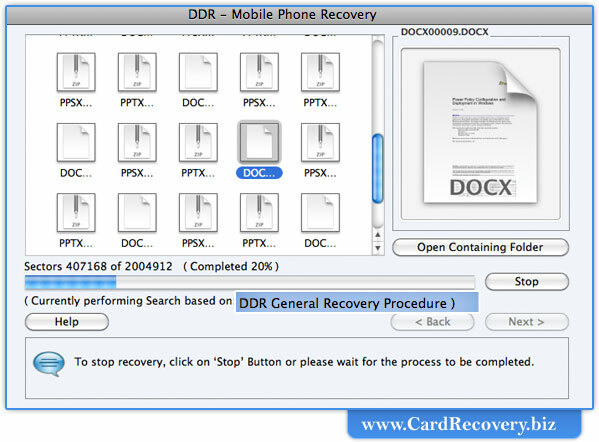 Click on “General Recovery Results” folder to view recovered files using DDR General Recovery Procedure. 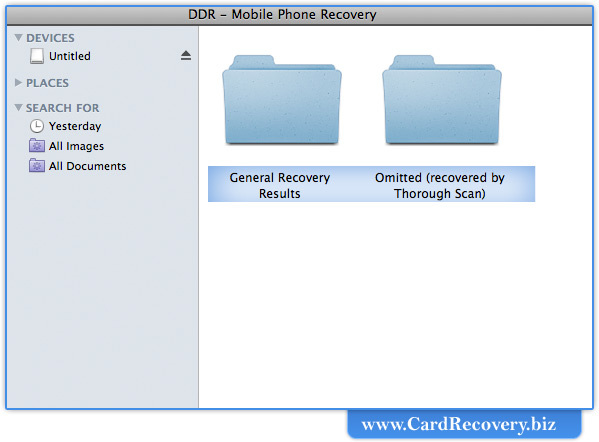 Click on “Omitted (Recovery by Thorough Scan)” folder to view omitted recovered files (using DDR Thorough Scanning Algorithm).